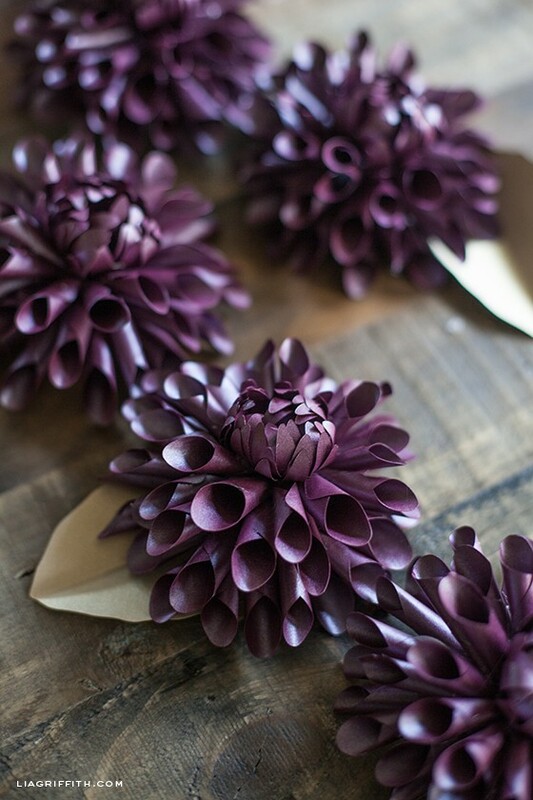 It is time for another paper flower! 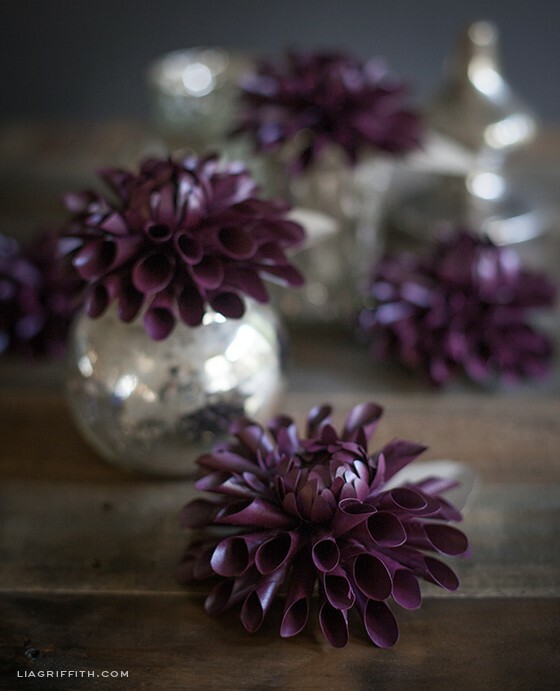 Dahlia’s are one of my all-time favorites, partly because my name is included in the letters of this luscious bloom. 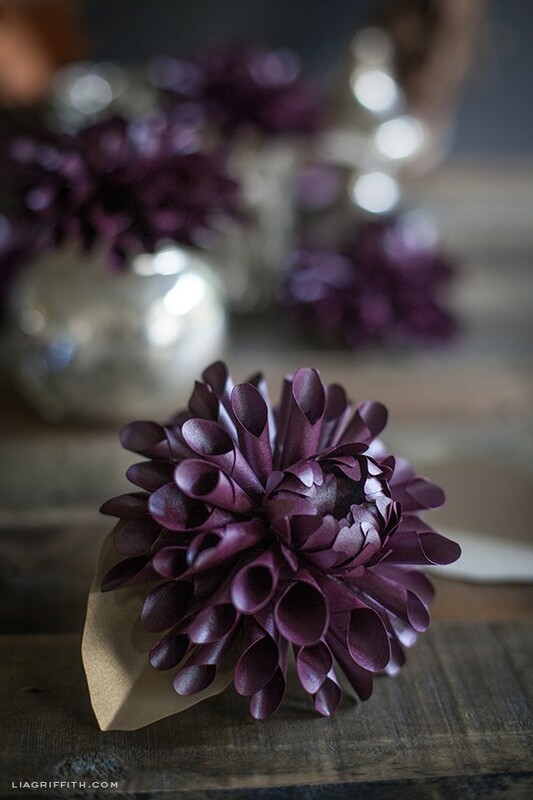 Dahlias come in a variety of colors and shapes so I picked a rich plum with a irregular petal pattern as my inspiration. I will not lie, this is not the simplest flower I have made. With so many petals to cut and form, it takes some commitment, but is worth every minute when you see how gorgeous it looks complete.